Engage the services of a financial planner. 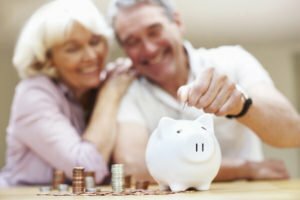 Financial planners offer guidance and expertise on determining which investments you can and should use to best pay for in home care services. Determine the value of any personal property, such as antiques, art, collectibles, etc. that you may want to liquidate. Be sure to have each piece professionally appraised before selling so you’re sure to get a fair price. Ask a tax analyst for assistance in figuring out how much revenue could be gained from selling a home or applying for an equity line of credit. Check in with your insurance agent to see if any pensions, annuities, or policies can be used to pay for in home care. Talk with family members about the idea of sharing the costs and duties of home care, to lessen the burden for any one person. At Hired Hands Homecare, we know how overwhelming it can be as you begin your search your Napa senior living options, and determining the options to pay for the care your loved one needs. If you have questions about home care services or how to pay for in home care in Napa or the surrounding area, contact us any time at (866) 940-4343 or simply complete our online contact form to find the resources and answers you need.